It's as simple as this: Don't spend more. Not when you can get images this bright and clear at an affordable, mid-range price. The Nikon® ProStaff Rimfire II 4-12x40mm BDC 150 Rifle Scope features easy adjustments, rock-solid zero and consistent, repeatable performance across multiple loads and velocities, making it a perfect choice for your .22 or 17mm rimfire rifle. Nikon has made field adjustments easier than ever with spring-loaded instant zero-rest turrets. Just sight-in as usual, then lift the spring-loaded adjustment knob, rotate to your "zero", and re-engage. Field adjustments are now as simple as dialing-in your subsequent ranges. Designed specifically for rimfire, the second focal plane BDC 150 reticle allows shooters to compensate for bullet drop at extended shooting distances. The BDC reticle's unique see-through ballistic circles offer an incredible advantage for long range shooting, yet still allow a normal sight picture for shorter-range shots where the crosshair itself is the aiming point. Reticle adjustment (1 click): 1/4" @ 50 yds. 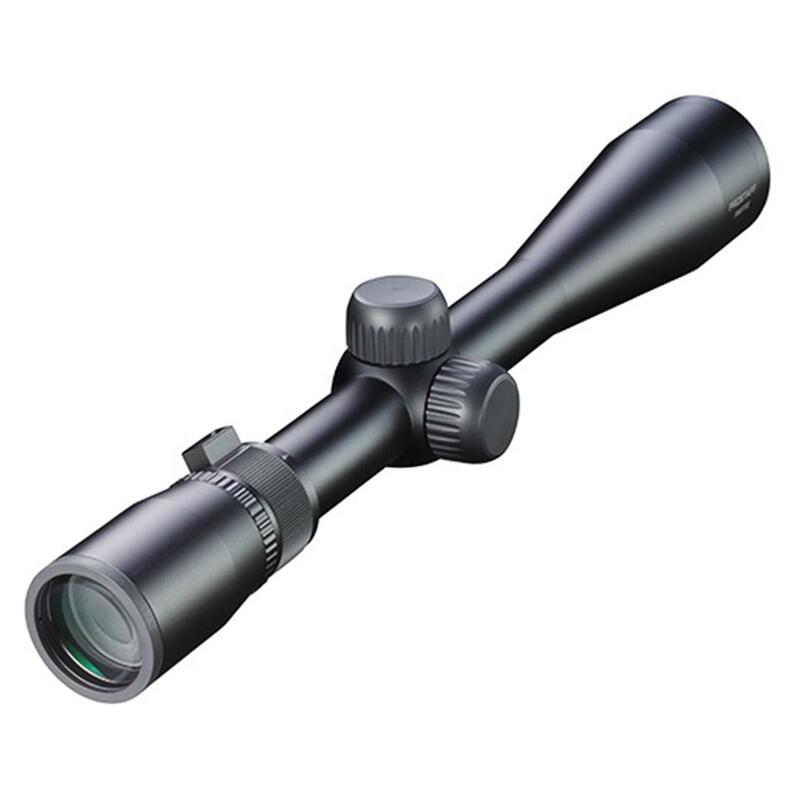 Nikon PROSTAFF Rimfire II, 4-12x40mm, BDC 150, Rifle Scope is rated 4.6 out of 5 by 28. Rated 5 out of 5 by Ielkhunt from Bright optics I just mounted this on my new .17 HMR. I did a side by side comparison of the Vortex diamond back 3x9 I had on it and couldn’t believe how much brighter the Nikon was. Don’t get me wrong I love vorex but this little Nikon is way better. It’s not completely dialed in but those gopher better hide when it is. Rated 4 out of 5 by Matt45 from Paired with Ruger 10/22 .22LR or Savage 93R .17HMR the BDC is FANTASTIC!!!! 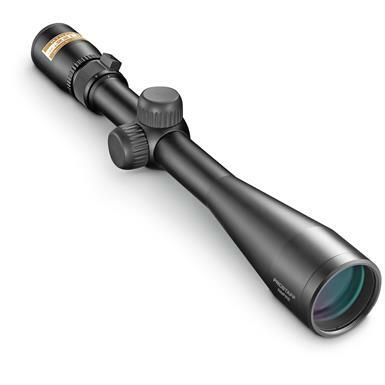 This Nikon scope is excellent, both in quality and price, in fact I consider it my goto critter-gitter glass. The Bullet Drop Compensator (BDC) is very simple to use, and once you establish range distances to targets, prairie dog towns should feel threatened. I had equal success with dialing in this scope for both rifles in the title.NOTE; Major changes in .22LR ammo, I.E. 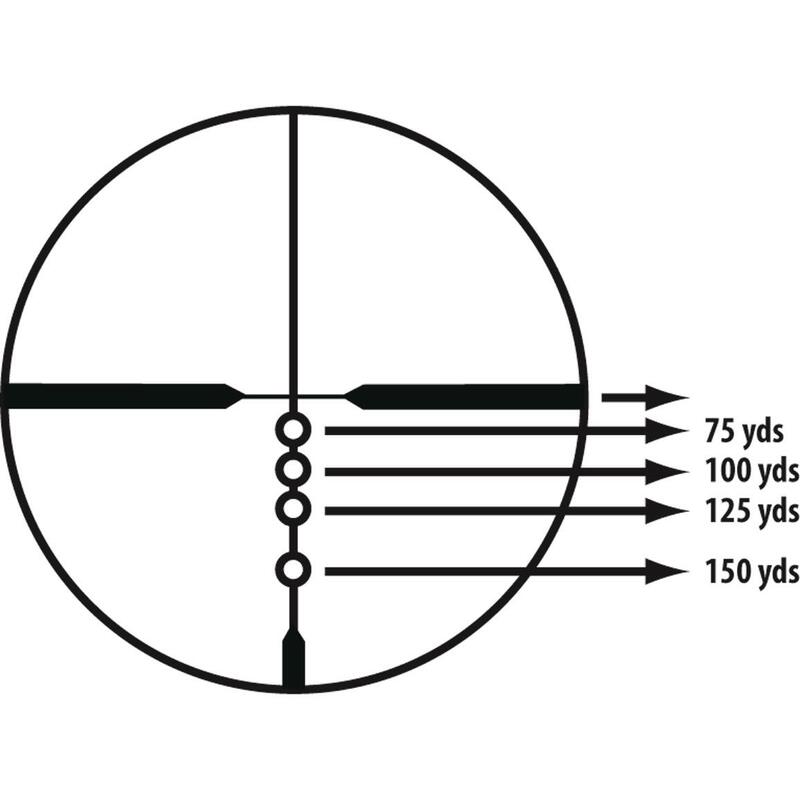 from 36gr Lead Round Nose Standard Velocity to 40Gr Copper solid 1500fps will require re-zeroing the scope as you will most likely experience a shift in Point of Impact (POI). This isn't anything different than any other scope/rifle, but it's very common for people to not understand WHY the POI changed from the Point Of Aiming (POA) in a .22LR rifle. Rated 5 out of 5 by Scott from 4-12 rimfire scope Great scope for rimfire rifles. Used the look up table at Nikon's web site, sighted it in and it was a fun day! Put it on a 17HMR at 75yds and it was set. Rated 5 out of 5 by Woody from Great scope and price I like these scopes have bought 5 over the last few years. They work great. Rated 5 out of 5 by Pat4518 Texas hunter from Best scope for the money!!! Had it sighted in at range and that was 5yrs ago ......yes I check it before each hunting season and it’s still on ‘0’ @!00yrd .....I hit where I aim ...one shot one kill ...I haven’t missed a deer since I had it mounted and sighted in. Rated 3 out of 5 by wes g from nikon rimfire w/ bdc decent scope for the money. sharp and, clear once adjusted.parallex set at 75 yardsterget not clear at other distances. Rated 5 out of 5 by John from Light weight, right price and the 4-12x40mm reticle is great. Had to purchase new 1" mounts because my old ones were to small and needed tone higher to accommodate the scope. Great view and the elevation dots are very helpful. Rated 5 out of 5 by Halsey from Great price and excellemnprice. What does it mean for "22 Rimfire " on the scope? I am very happy with the Scope.